I’m sure a lot of you were unaware that online darts were a thing now, I actually was unaware until a couple of months ago. For my life, darts has been played one of two ways, either on a wooden dart board where you keep score manually or on a digital dart board where it keeps the score for you and offers a bunch of different games. Now there are several options for online darts including the Gran Board 2, Darts Pro, and Darts Connect. The Gran Board 2 though is the top rated of the three, there’s a reason it’s rated the best dart board. 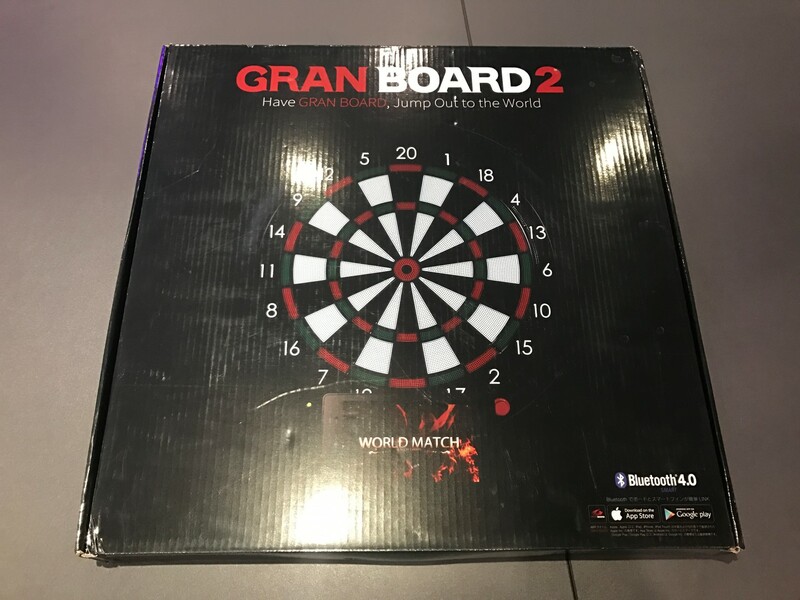 The box for the Gran Board 2 is fairly empty. It comes with screws, a couple sheets of paper to help with mounting, and the board itself. One thing to note is that the board itself has a lot larger diameter than most dart boards. 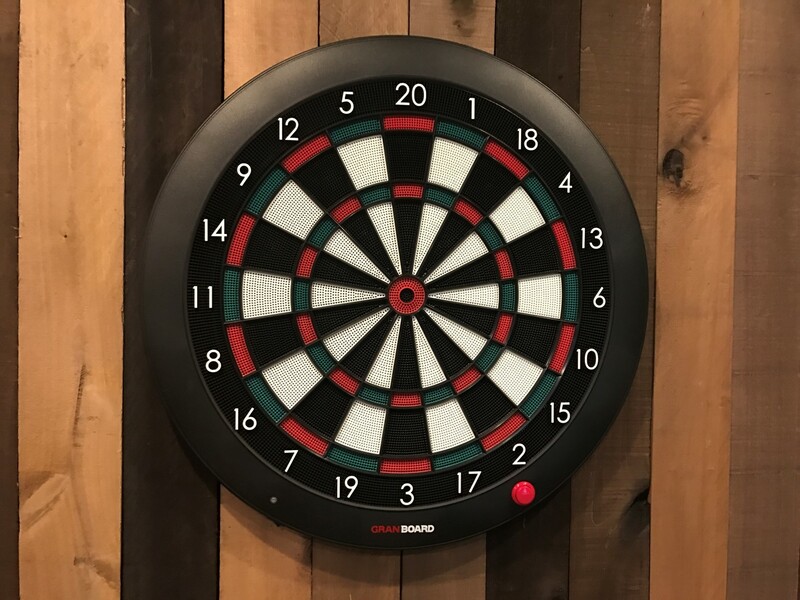 The regulation wooden dart board has a diameter of 17 3/4 inches, so the 22″ diameter of the Gran Board 2 makes it a lot harder to fit into standard cabinets. I built it 4′ x 4′ to help protect the walls. If you’ve played with any first time dart players you understand the value of making a large protection area. One thing to note is, the Gran Board 2 only comes with 3 darts and they’re rather fragile. Make sure you order some if you order the board or else you’ll quickly be unable to play once the darts fall apart. It does come with mounting screws and a nice piece of paper to help mount the board up. I used those to put it up on my DIY wall. There are really two different awesome features, stat tracking and online. 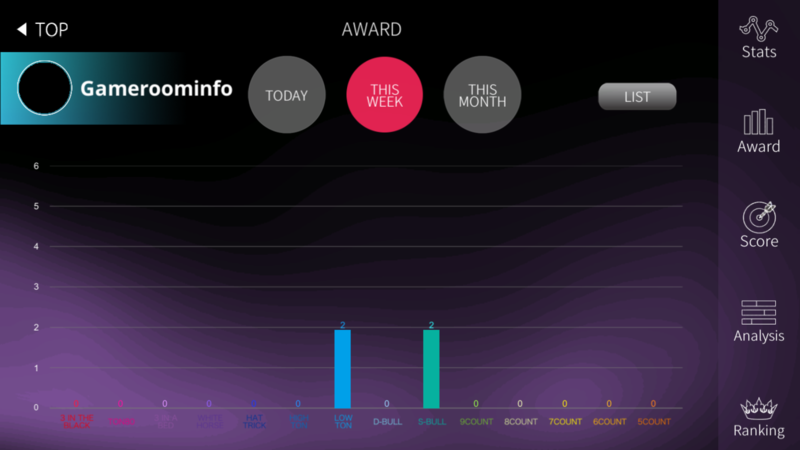 The cool thing is that all the scores are kept on your phone, so it tracks your stats as you play. It’s the first time you can actually see if you’re getting better or worse over time, where your holes are, etc. It also solves the problem of not having a person to play against as there are always matches available. I have a video below of how it all works together. When you’re playing locally you can play with up to 4 people. You basically just hook up your phone or tablet via Bluetooth to the app and then start playing. All scores and stats are then tracked on the phone. If you don’t have an account you can just play as a guest. Initially that’s all my friends and I did. After a while though I finally created an account to start tracking everything. To create an account, all you need is an email address and gamertag. You can also add a picture if you like, I think most people online do. I haven’t gotten to try this yet as of this review (I’ll update it when I do) but essentially the board uses your cell phone camera to play darts with someone else. The mode is currently in Beta so you have to apply to be able to use it. There are videos online of people doing it which are pretty cool. The best part of this would probably be if one of your friends had the same dart board, then you could play darts with them without actually having to be in the same room. I’ll try and post a video when it comes in. 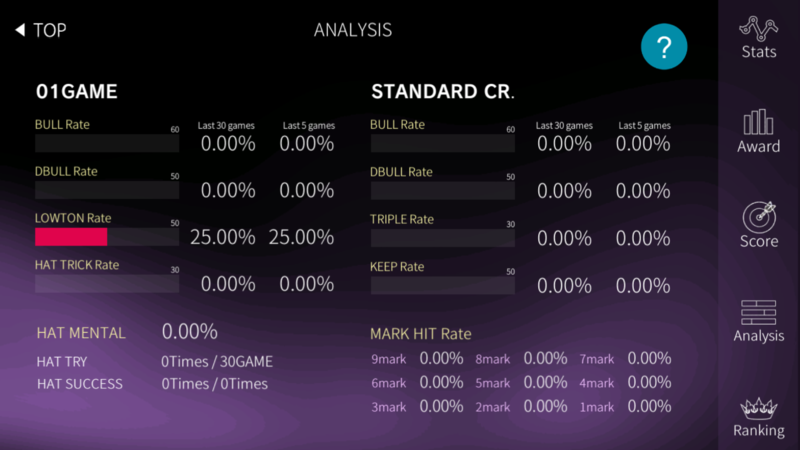 The Gran Board 2 keeps a wide array of statistics for every game mode you play. 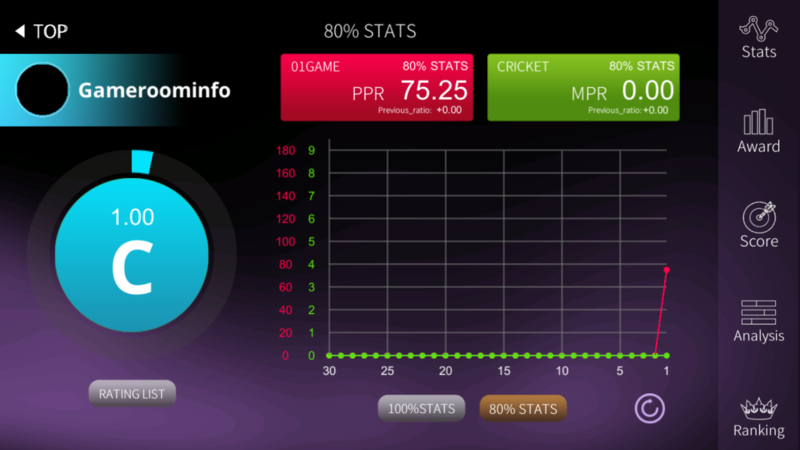 Things like points per round when playing 301, how many things you clear in cricket per round, etc. This allows you to see if you’re improving or not as you play. The Gran Board 2 is the best dart board I’ve ever played on, and that’s including all the commercial ones at bars. The stat tracking, the online play, the easy to use interface, etc all make it a fantastic package. It’s really mind blowing how much more advanced it is compared to dart boards from a few years ago, it’s a huge leap forward that basically makes all other electronic dart boards obsolete. 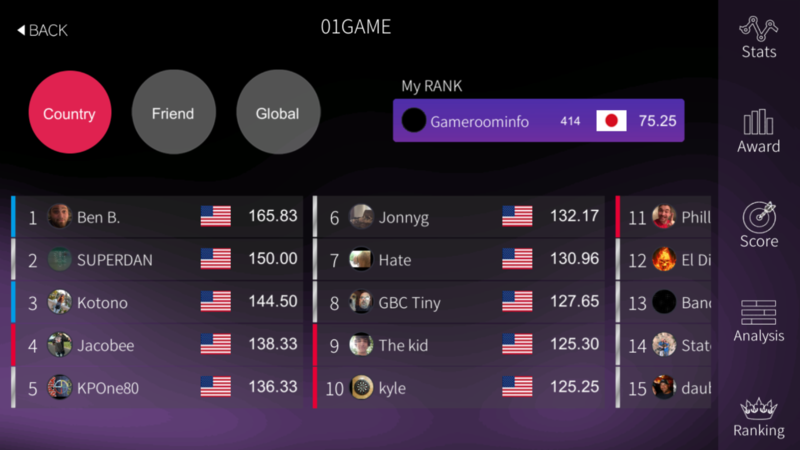 Instead of just thinking you’re a good player, you can actually compare yourself to players around the world for various rankings. Some of those guys are ridiculously good.